5.1???? Notice of Motion - General Manager's Performance Review (SF839).................................... 6 ? 11.4?? Nambucca Shire Traffic Committee Meeting Minutes - 2 April 2013.................................. 107 ??? AUTHOR/ENQUIRIES:??? Rhonda Hoban, Councillor ???????? Councillors are all familiar with the process for reviewing the performance of the General Manager. Previously an independent facilitator has been engaged at a cost of $2673.92 for the April 2012 review and $2739.32 for the October 2012 review. There is a potential saving of approximately $5,500 per annum should council choose not to engage a facilitator. The recommendation ensures that if ever there is a breakdown in communication between the council and the General Manager, either party has the right to request that one be engaged. That Council undertake future reviews of the performance of the General Manager without the use of a facilitator, on the understanding that if at any point either the General Manager or the Council feel that one is required, one will be engaged. AUTHOR/ENQUIRIES:??? Michael Coulter, General Manager ???????? Scotts Head Caravan Park ? new concept plan ? to be exhibited and reported to Council. Anticipate reporting 28 February 2013.? Awaiting North Coast Holiday Parks submitting a revised plan. North Coast Holiday Parks telephoned on 15 March advising that new concept plan would be submitted shortly. Memo to be provided to Councillors with Policy procedures for comment in accordance with Policy direction in March 2013. Report March 2013.? Deferred to April to allow for consultation with the RMS and Kempsey Shire Council. There be a brief report on the ability to re-subdivide lots without addressing the potential for street parking and egress issues. Report to be presented to Council in April 2013. Due to processing DA?s and review of highway documentation Manager Technical Services will provide a report to Council in April. ?That the fees remain at $12 per night per site until after the festive season (and after a meeting with various interested parties on 6 January 2013) and further, that a sign be erected outlining the fees and rules of the camping facility.? At Council?s meeting on 13 March 2013 it was resolved that Council consider the appropriate fees for the Gumma (Boultons Crossing) Reserve when developing its 2013/14 budget.? As the budget is currently being developed it is appropriate that Council not consider the matter. It was previously recommended that camping fees at the Boulton?s Crossing (Gumma) Reserve be maintained at $12 per site per night, except for designated NSW school holidays when the camping fee be $20 per site per night. That Council determine the camping fees for the Gumma (Boulton?s Crossing) Reserve. Council can set the fees as it sees fit. The table in the report provides a comparison of fees in other primitive camping grounds.? The camping fees at the Gumma Reserve are per site with no restriction on the number of people on the site.? Given the facilities which are available, the existing camping fee would seem to be amongst the cheapest, if not the cheapest, of any coastal camping ground on the North Coast. Traditionally the Reserve has been used by local residents for camping in school holidays.? It now seems to be becoming increasingly popular with tourists throughout the year, possibly because of its low fees. Council could structure the camping fee to reflect costs which are higher in school holidays or to reduce the impact on local residents by keeping the fee lower in school holidays and higher across the year as a whole.? The preferred approach depends upon resolving competing priorities as to what Council?s primary goal is.? Is it to increase tourist use for overall economic gain?? Is it to provide a camping ground primarily for use by local residents?? Is it to achieve cost recovery or a financial return?? A draft plan of management would seek direction on the primary goal. At Council?s meeting on 13 March 2013 it was resolved that Council consider the appropriate fees for the Gumma (Boultons Crossing) Reserve when developing its 2013/14 budget.? As the budget is currently being developed it is appropriate that Council now consider the matter. The following comparative information concerning camping fees was provided to Council?s meeting on 10 October 2012. $12 per site.? No limit on persons per site.? Fees usually collected twice per week. Site defined as 4 persons.? $11 per night during low season and $20 per night during school holidays.? Additional person $2.50. $10 per adult per night, $5 per child per night, plus a daily vehicle fee of $7 or annual pass. $5 per adult per night.? $3 per child per night. $10 per adult per night.? $5 per child per night. Toilets, picnic tables, BBQ?s, cold showers, no drinking water. $10 per adult per night.? $5 per child per night.? Plus an annual pass or daily vehicle entry fee of $7. $5 per adult per night.? $3 per child per night.? Plus an annual pass or daily vehicle fee of $7. $5 per adult per night.? $3 per child per night. Plus an annual pass or daily vehicle fee of $7. $10 per adult per night.? $5 per child per night.? Annual pass or daily vehicle entry fee of $7 also required. Minimum site fee of $28 applies covering 2 adults.? Additional adults are $14, additional children are $7.? Off peak rates also apply. $7 per adult per night.? $3.50 per child per night. ?????? There are increased costs in managing peak school holiday periods, through call outs by Council staff and contractors. ?????? If the camping ground remains open, there needs to be considerable expenditure on replacing the amenities and septic system.? The current camping fees do not cover the cost of this depreciation. 1.?????? Camping fees at the Boulton?s Crossing (Gumma) Reserve be maintained at $12 per site per night, except for designated NSW school holidays when the camping fee will be $20 per site per night. 3.?????? That the changes to camping fees be advertised in Council?s block in the Nambucca Guardian News and also on Council?s website. ?That the matter be deferred pending advice on the safety of the tank stand and whether or not the onsite sewerage management system meets Council?s requirements. Also whether Council has Public Liability insurance cover for the camping ground given its legal status.? The matter of camping fees was discussed at the stakeholder meeting.? At that meeting, Mr Ken Robinson a member of the former Committee of Management expressed the view that the $12 per night camping fee should be increased to $20 or $25 per night.? Further that the community was concerned that it remain an affordable camping ground and expressed concern about the cost of National Park camp sites. The risk mainly concerns the implications to Council?s budget which is discussed below. Without knowing what, if any, conditions may be imposed under a Section 68 approval to operate the camping ground it is difficult to determine the revenue stream which will be required to operate the camping ground with little or no impact on Council?s General Fund.? However given that the reserves accumulated by the Committee of Management have not met actual depreciation, the existing camping fees will almost certainly mean there will be an impact on Council?s future budgets.? Further, with the management of the Reserve reverting to Council rather than a voluntary Section 355 Committee, the costs of operating the Reserve will certainly increase.? The extent to which this will be balanced against increased revenue is unknown at this stage. There is no impact on working funds.? The anticipated revenue from any increase in camping fees will be incorporated into the budget for 2013/2014. The resignation of the Committee of Management has meant that the day to day management of the Reserve has to be undertaken by Council staff.? Whilst the time of staff is being costed to the Reserve, it does affect the availability of particularly Council?s Ranger to attend to other duties. A draft State Environmental Planning Policy has been released to give effect to the NSW Government?s recent announcement of a prohibition on new coal seam gas exploration and production activity on or under land in and within 2km of a residential zone or future identified growth area and on or under land in a so called Critical Industry Cluster (CIC) of which to date only two have been identified being the Upper Hunter equine and viticulture. The Department of Planning and Infrastructure has invited Councils to nominate particular areas zoned R5 within their LGAs for listing in the Mining SEPP as an area to which the prohibitions apply. This Council has extensive areas of R5 Large Lot Residential land including around Newee Creek, Bowraville, Valla, Nambucca Heads, South Macksville (Upper Warrell Creek Road), North Macksville (Old Coast Road), Allgomera, Bald Hill, Gumma, Kingsworth Estate, and Scotts Head. It is proposed that Council nominate all R5 Large Lot Residential land for prohibition from coal seam gas exploration and production activity. That Council respond to the Draft State Environmental Planning Policy (Mining, Petroleum Production and Extractive Industries) Amendment (Coal Seam Gas Exclusion Zones) 2013 and nominate all R5 Large Lot Residential land for prohibition from coal seam gas exploration and production activity. The draft Mining SEPP amendment is on public exhibition until 12 April 2013.? If Council is to make a submission it will need to be determined at this meeting. Council has received the notice of this draft State Environmental Planning Policy (SEPP) which is copied at the end of this report. The draft SEPP gives effect to a recent announcement by the State Government concerning the prohibition of new coal seam gas exploration and production activity on our under land in and within 2km of a residential zone or future identified residential growth area and on or under land in a Critical Industry Cluster (CIC) of which two have been identified being the Upper Hunter equine and viticulture. The prohibition will apply to residential zones.? Of interest is that it is also proposed to apply to areas zoned R5 Large Lot Residential that meet, ?defined village criteria?. ?????? the area must contain a mix of lot sizes, including an average lot size up to 4,000m2. It would seem that the intention is to try and distinguish between a ?village? and a ?rural residential subdivision?.? For this to be an issue it must be assumed that the RU5 village zone in the standard LEP template has not always been applied across the State to those localities which are a village. In the R5 zones, particularly those which adjoin urban areas, it is impossible to determine the boundary of the ?settlement?.? Most R5 zones have some diversity of land use including agriculture and home occupations.? Those R5 zones which do not adjoin urban areas are often ?long established?.? This includes some of the housing at Gumma and around Macksville. And then there are the even more qualitative criteria such as, ?some historic association?. Notwithstanding the entreaties from the Department for Council to plot a boundary line to a settlement when in fact the change in land use is often more of a gradation and to discern with absolute clarity the meaning of ?long established? and ?some historic association?, for the sake of consistency it is proposed that Council nominate all R5 Large Lot Residential land for prohibition from coal seam gas exploration and production activity. In support of the recommendation that all R5 Large Lot Residential be excluded from coal seam gas exploration and production activity, the Department will be supplied with the information which Council has readily available.? The Council does not have the staff resources to undertake detailed investigations about the dates settlements were established; their historic associations with the surrounding area; and all of the land uses within the particular zoning. If Council?s submission is accepted then there would be a prohibition of new coal seam gas exploration and production activity on or under the R5 Large Lot Residential zoned land and within 2km of its zone boundary. The Department of Planning and Infrastructure will evaluate Council?s submission and will make a recommendation to the Minister for Planning and Infrastructure as part of making the Mining SEPP amendment. There has been consultation with MANEX B and Council?s Strategic Planner.? The relatively short exhibition period, less than 3 weeks including the Easter public holidays, means that broader consultation with other Mid North Coast Councils has not been possible. The draft SEPP does not reference any environmental investigations or findings which has caused the amendment.? There is no explanation as to how the criteria were established.? It would seem to be based on the widespread community concern and apprehension about the impacts of CSG activities. The proposed exclusion of R5 Large Lot Residential from CSG exploration and production activity is likely to ease similar concerns in the Nambucca Valley if CSG production were to ever be proposed.? It is unknown whether or not this may occur in the future. The economic implications are unknown.? There is no information provided to Council about the extent of recoverable CSG in the Nambucca Valley, its economic value, the potential jobs it may provide and the extent to which it may underlie the R5 Large Lot Residential zone.? There is as little information on the economic implications as there is on the environmental implications. There is no information available in the draft SEPP to provide an evaluation of risk.? The media has reported what seems to be widespread community concern and apprehension about the impacts of CSG activities.? The NSW Government seems to have accepted that there is widespread concern as evidenced by their announcement and the introduction of the draft SEPP.? There is no reason to believe the same concerns will not exist in the Nambucca Valley if CSG activities are proposed. If CSG activities are ever proposed, many residents will not understand how the criteria were derived or applied.? If the recommendation to exclude R5 land is not accepted by Council, residents will not understand how the Council could forward a submission without consulting with them.? Unfortunately Council has received notice of the draft SEPP less than 3 weeks before the closure of the public exhibition so it is impossible to undertake effective community consultation.? The absence of this opportunity means that Council should adopt a more risk averse position.? This is reflected in the recommendation. Without any information as to the economic potential of CSG in the Nambucca Valley it is impossible to determine any direct or indirect impact on current and future budgets. The draft SEPP is not well drafted and seems to be rushed.? Without any reasonable notice it places a large onus on Council?s limited town planning resources to provide a detailed response to criteria which are as qualitative as they are quantitative.? The Council simply does not have the staff resources to undertake detailed investigations about the dates settlements were established; their historic associations with the surrounding area; and all of the land uses within the particular zoning and to tabulate and supply that information in less than 3 weeks. NOTICE OF THIS DRAFT STATE ENVIRONMENTAL PLANNING POLICY (SEPP). On 19 February 2013, the NSW Government announced several significant initiatives around the regulation of coal seam gas (CSG) activities in addition to the measures already announced as part of the Strategic Regional Land Use Policy. ?????? on or under land in a Critical Industry Cluster (CIC). Currently, two CICs have been identified ? the Upper Hunter equine and viticulture CICs. The Department of Planning and Infrastructure is seeking feedback on a draft amendment to the State Environmental Planning Policy (Mining, Petroleum and Extractive Industries) (the Mining SEPP) to implement these prohibitions. The prohibition is also proposed to apply to areas zoned R5 Large Lot Residential that meet defined village criteria. To achieve this, councils are being invited ? as part of their submission on the draft amendment ? to nominate particular areas zoned R5 within their LGAs for listing in the Mining SEPP as an area to which the prohibitions apply. This could include an entire or part area zoned R5. Only that part of areas zoned R5 that meet these criteria will be listed in the SEPP as an exclusion zone. A mix of land uses (such as retail, business, industrial, educational or recreation) that service the local rural community is a key point of differentiation between a village and a rural residential subdivision. Description of current land uses in the area and any information on projected changes to these land uses. Villages are generally long established population centres that historically served a particular economic function in a district or regional context. This is a key point of differentiation to rural residential subdivisions that are typically more recently established and, by the nature of their predominantly residential land use, do not provide a regional economic function. Information on when the settlement was established and its historic association with the surrounding region. Villages are characterised by a range of residential lot sizes, including smaller lots than would typically comprise a rural residential subdivision. Information on range of residential lot sizes, including number and proportion of lots up to 4,000 m2 in area. Nominations should also clearly describe and map (including GIS data) the subject areas. Nominated areas will be evaluated by the department, with recommendations made to the Minister for Planning and Infrastructure as part of the making of the Mining SEPP amendment. The department is currently consulting with Local Government NSW about involving local councils in the evaluation process. The draft SEPP amendment also includes provision for councils to nominate areas where they wish to opt out of exclusion zones, following community consultation, to enable CSG development to occur, subject to relevant approvals. These areas will be identified in a Schedule to the SEPP. The draft Mining SEPP amendment is on public exhibition until 12 April 2013. To find out more, go to www.planning.nsw.gov.au/proposals or telephone the department on 1300 305 695. Submissions can also be lodged online at this website. The North Coast Accommodation Trust has submitted a revised concept plan 3B for the redevelopment of the Scotts Head Caravan Park and day reserve.? The revised concept plan has been prepared in consultation with Council staff and of the many revised concept plans considered since July 2012 is the one which most closely resembles the adopted Master Plan.? In order to give effect to the plan it is necessary for Council to transfer ownership of an area of land off Adin Street sufficient to include the proposed access and Manager?s residence and office. It is proposed that Council support the redevelopment of the Scotts Head caravan park and adjoining reserve in accordance with the revised concept plan described as Option 3B and dated March 2013. 1??????? That Council support the redevelopment of the Scotts Head caravan park and adjoining reserve in accordance with the revised concept plan described as Option 3B and dated March 2013. 2??????? That Council transfer the land shown edged yellow on Option 3B to the North Coast Accommodation Trust for nil consideration subject to the Trust agreeing to accept all costs associated with the subdivision and the transfer of ownership.? Further that Council?s seal be attached as required to documents associated with the transfer of ownership. The options are discussed in the report.? If Council does not accept the recommendation it can either seek to negotiate a new lease of the existing holiday van area with the North Coast Accommodation Trust or to provide the holiday van owners with notice to vacate the site. There was previous consideration given to Council operating the holiday van area as a ?stand alone? caravan park but this was dismissed because of predicted revenue being less than the anticipated capital and operating costs. Doing nothing is not an option as the lease for the holiday van site expired many years ago.? Council may be subject to censure for continuing to deal with community land without having an approved lease in place and by acting contrary to the provisions of the Local Government Act and Regulations. Council could also undertake further public consultation in relation to Option 3B.? As Option 3B is more similar to the adopted Master Plan than the previous Option 1, and both have previously been advertised for public comment, it is not anticipated that any new issues would be identified.? The most likely scenario is that Council would be considering the same issues raised by the community over the past 5 years.? There is also a risk with further consultation in that the Trust, having received funding approval for the redevelopment of the caravan park, may proceed with a redevelopment of its own land and not in accordance with Option 3B. ?That Council implements the Master Plan as exhibited and accepts responsibility for the management of the balance of the Reserve (not including the caravan park) subject to adequate compensation and discussions with the Minister concerning the care and control of the Crown lands and day area. ??????? A possible future extension to Option 1 with additional sites provided in the Adin Street Reserve adjacent to the Bowling Club. A copy of the adopted Master Plan adopted on 17 February 2011 and the three revised proposals considered by Council on 25 October 2012 are attached and circularised for the information of Councillors. 1??????? That Council advertise for public comment for 28 days the proposed Option 1 submitted by North Coast Holiday Parks who manage the Scotts Head Reserve Trust.? Further, people who made submissions to the Master Plan be provided with a copy of the proposed revised plan and be invited to comment. 2??????? That the Scotts Head Reserve Trust be advised that Council will seek an independent market based review of rental income in Year 10 and Year 16 in the event that a lease for one of the options proceeds. 3??????? That Council advise the Scotts Head Reserve Trust that it has no objection to the use of demountable (relocatable) amenities buildings within the Scotts Head Caravan Park subject to the usual approval and certification requirements and also endorsement from the Division of Local Government or Department of Planning for the variation to the regulation. 4??????? That whilst option 1 is on exhibition, Council undertake an onsite inspection with the North Coast Holiday Parks representatives. An onsite inspection was subsequently undertaken on 14 November 2012. The proposed Option 1 was placed on public exhibition over November 2012.? In response to the public exhibition Council received 63 submissions. ?????? There should be improved access to the section of patrolled beach through the caravan park. In response to the submissions, the North Coast Holiday Parks then submitted a further option, Option 3A, for consideration.? A copy of this option is attached and circularised. a)?????? All diagrams are to be the same scale and with the same legend and colours. b)?????? All extraneous lines and marks relating to some other plans are to be removed from the exhibited plans. c)?????? Areas enclosed by the existing caravan park, the proposed lease area and the community land (village green) are to be clearly marked. d)?????? All coloured areas are to be explained in the attached legend. e)?????? The proposed use for all vehicular exits and entries to the caravan park are to be provided. 2??????? That the Adopted Master Plan, Option 1 and Option 3a be placed on public exhibition for the remainder of December 2012 and all of January 2013 and in the interim Council staff assess its parking and traffic implications in consultation with the Trust in an endeavour to put an agreed concept plan to Council?s meeting on 28 February 2013. 3??????? That Council note that the Scotts Head Reserve is now part of the North Coast Accommodation Trust and that the Scotts Reserve Trust has been dissolved. The ?cleaned up? plans were supplied, but the plans were not placed on exhibition mainly because in the interim Council staff met with the North Coast Holiday Parks to discuss parking and traffic implications and agreement was reached on a further revision which more closely met the objectives of the adopted Master Plan, being to relocate the access to Adin Street.? Besides not being consistent with the adopted Master Plan proposal for the caravan park entrance to be in Adin Street, the proposed off-set access shown on Option 3A would have removed nearly all of the on-street parking in Short Street opposite the existing shops. A copy of the March 2013 revision (option 3B) showing the relocation of the access to Adin Street is attached and circularised. 45????? What dealings can a council have in community land? (1)????? A council has no power to sell, exchange or otherwise dispose of community land. (2)????? A council may grant a lease or licence of community land, but only in accordance with this Division. (3)????? A council may grant any other estate in community land to the extent permitted by this Division or under the provisions of another Act. Note. The word estate has a wide meaning. See the Interpretation Act 1987, section 21 (1). (4)????? This section does not prevent a council from selling, exchanging or otherwise disposing of community land for the purpose of enabling that land to become, or be added to, a Crown reserve or to become, or be added to, land that is reserved or dedicated under the National Parks and Wildlife Act 1974. In accordance with Section 45(4) above it is proposed to transfer the community land shown edged in yellow to become part of the Crown reserve.? The land will contain the access road as well as the Manager?s residence and office which is also required for the permanent operation of the caravan park. Of all of the revised concept plans submitted by the new Trust Manager, North Coast Holiday Parks, the March 2013 (option 3B) revision is the closest to the adopted Master Plan.? In terms of changes to the footprint of the caravan park, the major differences are the addition of 7 sites on the Adin Street Reserve, the retention of 4 cabin sites on the ocean side of the main drain beside the proposed village green and the retention of 3 cabin sites in the north east corner. Further, whilst the agreement upon which the Master Plan was based sought for Council to be responsible for the maintenance of the Reserve, the revised approach by the new Trust Manager is that the Trust continue to be responsible for the maintenance of the Reserve.? This removes substantial risk from Council. In July 2012 the Trust offered $20,000 per annum rental for Option 1 capped at the CPI for the full term of the lease (21 years).? The Trust indicated that this was in recognition of the contributions listed above. Should Council consider options 2 or 3 acceptable, the Trust would be willing to increase the lease fee to $31,500 for option 2 and $26,300 for option 3. There has been no negotiation or offer on the March 2013 version.? Given the yield is similar to Option 1 it is proposed that Council agree to the $20,000 per annum rental, CPI indexed for the full term of the lease (21 years) subject to the Trust paying all of the expenses associated with the subdivision to create the Adin Street access. ?As previously discussed with yourself and the Mayor, the leasing of the land at the oval for holiday vans is not a commercial decision of the Trust.? The Trust has agreed to this proposal to enable holiday van owners, which have been located on Council land for many years, the opportunity to relocate.? Should the community and Council prefer that the land is not used for this purpose; the Trust will not oppose this view. However, as this will leave a substantially greater amount of Council land (Adin Street Reserve) to be maintained, the offer of the Trust to perform this function will lapse. The objective of the Council to have the entry to the park relocated to this area is not compromised if the lease does not continue.? The Trust will still agree to the entrance, office and residence continuing as planned by Council resolving to add that portion of land to the Crown Reserve under Section 45(4) of the Local Government Act.? By doing this, the preference of the entrance being relocated is achieved and the community land is increased.? In relation to these alternative options, it has been previously recommended and resolved (May 2010) that Council not separately manage the ?semi-permanent? holiday vans located on Council?s land as it is not financially viable.? Separate management would require Council to undertake capital works on its site upgrading roads and constructing an amenities building as well as operational and maintenance costs in the employment of a part time caretaker, cleaning, mowing, consumables etc.? At the time, Council?s Director Engineering Services estimated the capital costs at $600,000 and the operational costs at $150,000 per annum.? At the time the income from the holiday vans was indicated as $116,000 per annum. The remaining alternatives are either to seek to enter a new lease of the existing ?semi-permanent? holiday vans with North Coast Holiday Parks (ie the status quo) or not continue to lease the land and provide the holiday van owners (approximately 40) with notice to vacate the site.? The latter will result in some economic loss, particularly to Scotts Head, as the capacity of the caravan park will reduce by approximately 40 sites. There has been consultation with the North Coast Holiday Parks and Council?s Manager Technical Services. Given that the revised Option 3B is more similar to the adopted Master Plan than the previous Option 1 and that both have previously been advertised for public comment, it is not proposed that there be further public consultation. The proposed expenditure on stormwater management should provide some environmental improvement. There has been considerable community interest in the preparation of the Master Plan and the more recent proposals by the new Trust manager.? It has been evident throughout the process that there will never be an outcome which satisfies all members of the community.? The revised Option 3B is the option which most closely reflects the adopted Master Plan and which incorporates its key principles, being the relocation of the caravan park access to Adin Street; increasing the area available in the day reserve for use by local residents and tourists alike; and by creating a usable village green. The proposed investment in the redevelopment of the caravan park and day use area will have a positive economic impact on Scotts Head. It is proposed that the details associated with the implementation of the revised Option 3B be subject to a Deed of Agreement to ensure there is clarity as to the required actions and responsibilities of each of the parties. The Trust proposes to spend $200,000 on the rectification of stormwater issues.? This would otherwise be funding that Council may incur. There will be a reduction in mowing and maintenance requirements as the Trust will accept responsibility for the mowing and maintenance of the balance of the Adin Street reserve as well as the Town Green.? This is in addition to their existing responsibilities in maintaining the day reserve area. That Council note the Museum Advisor?s Report and formally express its thanks to Ms Joan Kelly for her work over the past 4 years in guiding and mentoring our local museums. It will be recalled that 2012 was the fourth and final year of the Museum Advisor program. A copy of the Museum Advisor?s Report is in the confidential business paper. For the fourth year of the program the Museum Advisor concentrated on working through the final stages of strategic plans developed for each of the museums. The program has provided each of the Valley?s four museums with new skill areas in collection management, such as developing and maintaining catalogues, storage and planning skills.? All of the museum groups have gained a good understanding of significance assessment, niche collecting (of their own local themes) and how to develop exhibitions from their collections. Council?s Museum Advisor, Ms Joan Kelly expresses her appreciation to Council and Museums and Galleries NSW for providing her with the opportunity to work within the Museum Advisor programme with the Valley?s four local museums. The program has been valuable in offering our local museums an insight into professional museum management and the grant opportunities which are available through Museums and Galleries and others.? Whilst Ms Kelly believes that a continuation of the program would be of benefit to new volunteers and new Committees, the intention with Council?s participation was to provide a reasonable period within which to allow the Committees of Management to develop and implement their strategic plans.? It was not intended that it permanently support the work of the volunteers. Notwithstanding in say five years time it may be worth renewing the program so as to capture new Committees of Management and new volunteers. The four local museums are a repository for much of the history of the Nambucca Valley, particularly post European settlement.? Accordingly they have significant cultural value. The local museums all contribute to the Valley being a desirable tourist destination. There are no budgetary implications. For the information of Council, the Museum Advisor Program was based on a payment to Council of $7,000 (excluding GST) being a contribution of 50% of the Museum Advisor?s fee for 12 months.? Beside the $7,000, Museums and Galleries NSW also provided $3,000 towards the Advisor?s travel costs and coordinated and funded costs for two Museum Advisor network meetings.? The net cost to Council has been $7,000 per annum for the 4 years it has run. There are no staffing or resourcing implications. AUTHOR/ENQUIRIES:??? Selina McNally, Senior Town Planner ???????? In 2010 a subdivision was approved for a 13 (thirteen) Lot Residential subdivision which will form part of the Ocean Waves Estate in Valla Beach. Consent DA2010/004 was issued on 3 May 2010 and part of condition 4 of this consent requires the provision of a footpath and cycleway to link Seaforth Drive to Ocean View Drive.? The requirement was placed on the consent by Council?s town planning staff at the time and was in direct response to the relocation of the public open space to the far end of the residential estate, so that it could be more efficiently accessed by all residents of the estate. A modification application has now been lodged under Section 96 of the Environment Planning and Assessment Act to remove this requirement for the construction of a foot/cycle path.? Council?s town planning and engineering staff do not support the request and are of the view the linkage is fundamental to building a sustainable community for the Ocean Waves Estate and this matter is being reported to council accordingly. o ?? Pursuant to Section 79C(1)(a) of the EP&A Act 1979, it is considered the proposal? is inconsistent with the intention of the residential zoning to provide new residential development and adequate infrastructure to support it as it proposes to remove infrastructure fundamental to sustainable development. Pursuant to Section 79C(1)(a) of the EP&A Act 1979, it is considered the proposal does not comply with the requirements of Part B of the Nambucca Development Control Plan 2010 and in particular clause B2.4.2 ?Pedestrian and Cycle Networks? which requires pedestrian and cycle ways to public reserves to be provided at the cost of the applicant. Pursuant to Section 79C(1)(a) of the EP&A Act 1979, it is considered that the proposal is inconsistence with the intentions and objectives of Policy B2.4.1 of the NDCP to provide interconnected urban environments, efficient and safe access to open spaces areas and reduce vehicle dependency. o ?? Pursuant to Section 79C(1)(b) of the EP&A Act 1979 it is considered there is high potential for severe negative impact of allowing the proposal to remove this requirements, due to the resultant lack of connectively for a growing community, which is fundamental to provide access to the near by public recreation areas and could result in a unappealing and subsequently non-sustainable residential subdivision. Pursuant to Section 79C(1)(b) of the EP&A Act 1979 it is considered highly likely the removal of this linkage will discourage physical activity and alternatives to car use, which will subsequently increase the traffic entering and exists the development via Swordfish Drive and negatively impact on properties there. o ?? Pursuant to Section 79C(1)(c), it is considered that the site is not considered suitable for any alternate use, such as a further residential allotment, and hence would become vacant, unmaintained surplus land of no community value should the requirement not be enforced. o ?? Pursuant to Section 79C(1)(d) of the EP&A Act 1979, it is considered the submissions received raised relevant concerns in their objections and they reflect the community as a whole rejection of the proposed Modification to remove the footpath and cycleway. o? Pursuant to Section 79C(1)(e) of the EP&A Act 1979, it is considered that the proposal is not in the public interest as the views of the community have been expressed through their submissions, the 147 signature petition and through their voice in the Valla Beach Community Organisation. Pursuant to Section 79C(1)(e) of the EP&A Act 1979, it is not considered in the public interest to remove a vital linkage from a new residential area to public recreation areas and subsequently discourage physical activities, enjoyment of these areas and social interaction within the community. o? Pursuant to Section 79C(1)(e) of the EP&A Act 1979, it is considered the proposal to remove this linkage is against the public interest as a linkage to provide a safe route to recreation areas is in the public interest. Option 2 is that Council consent to the modification in accordance with the draft conditions of consent at the end of this report. This report relates to a Modification received under Section 96 of the EP & A Act to remove part of condition 4 of Consent DA2010/004. The requirement proposed to be deleted relates to the construction of a footpath and cycle way link to be provided on Ocean Waves Estate in Valla Beach. Draft condition 4 shows the condition will be modified by deleting this requirement, should Council resolve to approve it, in the draft conditions at the end of this report. In 2010 an application was lodged for a 13 (thirteen) residential subdivision to extend the Ocean Waves Estate in Valla Beach to Stage 5.? The 13 Lot subdivision was based largely on a conceptual draft Masterplan for these stages of the Ocean Waves Estate. However, one difference in-between the subdivision layout proposed by the development application DA2010/004 and the original Masterplan, was the location of the land to be reserved as public open space and dedicated as public reserve. The original location was central to the overall residential estate of Ocean Waves (once completed). The proposed new location was at the very end of the Ocean Waves Estate at the end of Ocean View Drive, before Valla Beach Resort (Tourist Park and Manufactured Homes Estate) and is now known as Lot 35. This proposed relocation for the public open space was questioned during the assessment process of the original development application due to it being at the far end of the Ocean Waves Estate and the town planner indicated that good town planning practise and urban design, supports a more central location. Indeed the previous location of the public open space on the masterplan was near to the centre of the estate. The applicant argued the Lot identified in the masterplan was too steep and as such not suitable for public open space. The new location for the public open space would only be accessed by Ocean View Drive and any future residents of Seaforth Drive, or the further expanding residential subdivision of Ocean Waves Estate, would have to also use Ocean View drive via Swordfish Drive to access it. Subsequently, as a compromise, the town planner consented to the relocation of the public open space but conditioned the consent that a footpath and cycleway be constructed by the developer to link Seaforth Drive and the rest of the development to the public open space, thus avoiding the need for these residents to access the nearby recreation areas via Swordfish Drive and Seaforth Drive. Future stages of Ocean Waves Estate will see the extension of Swordfish Drive and further residential allotments created west of it, which means there will already be an increase in traffic at this location. In November 2012 the applicant submitted an application for a Construction Certificate and associated Engineering drawings. These drawings did not include the footpath and cycle-way required by condition 4 of Consent DA2010/004 and Council staff bought this to the applicant?s attention. The applicant advised that he did not wish to construct the linkage. Council staff advised the applicant, as per Section 96 of the EP&A Act, that a formal Modification application must be submitted should they propose to amend or remove any conditions of Consent and that such a proposal would unlikely be supported by council staff. The applicant proceeded with submitting the formal S96 Modification application which is what is being reported to Council for discussion and determination. As Council staff do not support the proposal, it is being reported to Council with a recommendation for refusal accordingly. The applicant was formally informed in writing of this report and that it would carry a recommendation of refusal on 5 March 2013 and was also given the option to withdraw the Modification application. No response, verbal or written, has been received. The applicants supporting information has been attached at Attachment 1 and details an argument that there had been no requirement for a footpath/cycleway at this location on any of the previous Consents, that the location is not suitable due to it being on a brow of a hill, that there are no other cycle ways at Valla Beach and that VPR Development constructed a footpath link from Swordfish Drive to Valla Beach Road. The linkage is considered fundamental to increase the already limited permeability within this new residential area which is consistent with many structure plans and strategies, including the Mid North Coast Regional Strategy and compliments the Government?s ongoing ?Healthy Communities? initiatives. Councils MTS advises that he does not concur with the developers view that the cycleway would not bring any advantage to local residents, and indeed has the opposite view that it would be a great advantage for local residents as the only way out of the entire subdivision at present is on the northern end and the cycleway would provide a link to the beaches and Valla Beach reserve. MTS further advises that additional road linkages were supposed to be provided onto Ocean View drive (detailed on the original concept master plan) but were detailed due to steep grades and these roads were then instead sold as development Lots. Thus the developer has already received additional Lots, creating additional profit, and saved money on these road constructions. MTS concludes that the request to modify the Consent, by deleting the requirement for a footpath and cycleway, be refused. HCO was consulted as part of the Assessment process as the proposal is considered contrary to the ethos of Healthy Communities. HCO does not support the proposal and advises There are a number of very good reasons why the cycleway should be constructed as part of DA 2010/004.? A cycleway/footpath at Valla Beach is significant to the community because it offers a practical route, a pleasant outdoor public space, links the whole neighbourhood to the beach and recreational facilities, and enables healthy and active living. ?????? Add attractiveness to the area. Council?s MAC completed the preliminary assessment and determined who would be notified of the modification application on the basis that these are the properties near the footpath/ cycleway link. The NSW RFS have issued a Bushfire Safety Authority Certificate for the proposal, as per the requirements of section 100B of the Rural Fires Act. Nambucca Local Environmental Plan 2010. There are none specifically relevant to the proposal. The application relates to the removal of a condition on a previously approved residential subdivision and so Part B of the NDCP is applicable and certain parts of Part A are applicable. The application was notified to owners of properties in close proximity to the location of the footpath and cycleway link, as determined by council?s Manager of Applications and Compliance and was also Advertised, in accordance with Council?s Advertising paper, to inform interested parties in the wider surrounding area. 4 (four) individual submissions have been received, as well as a letter from the Valla Beach Community Association, which included their unanimous decision to object to the proposal and also a petition with 147 signatures on it. There is currently one formal way out of the Oceans Waves Estate from Seaforth Drive which is suitable for vehicular traffic i.e. Swordfish Drive. There is an unofficial and unformed track, suitable only for pedestrian traffic only at the moment, which is the location subject to this proposal as the proposed location required previously by condition to provide a formal linkage. Although council?s town planning staff have concerns of the practicability and safety of one entry/exit point for a residential development such as this should evacuation be required, NSW RFS have not objected to the proposal. Policy B2.4 of the NDCP advises that pedestrian and cycle ways shall be provided to connect roads and to potential public routes, public reserves, education facilities and community facilities. The policy goes on to require such linkages to be provided by applicant?s expense and as part of any development consent. The town planner responsible for the original consent was following the guidance in Clause B2.4.2 when applying the condition to provide the foot/cycle path, which the applicant now seeks to remove. The objectives of B2.4 are to provide highly interconnected urban environments that encourage pedestrian and cycle usage, to provide efficient and safe routes to public areas and reduce the dependency of vehicle use. It is considered the deletion of this requirement for a footpath at this location is contrary to all the objectives of clause B2.4. The site relates to an urban release area, now known as Ocean Waves Estate, which is currently growing and being developed by releasing multiple residential allotments in stages. The requirement for this linkage was imposed previously be town planning staff as a condition of Consent and was discussed thoroughly in the officer?s report and considered it to be necessary to provide a vital link at this location. The primary reason behind the town planner?s decision at the time was the proposed location for the public open space which was to be provided by the developer and to ensure the developer fullfill?s their responsibility to ensure this is accessible by residents. However, since this original decision was made, it has become apparent by the fact an informal bush track which has been established, that this location requires a linkage for multiple more reasons than just this. It therefore remains the view of council?s town planning staff that this link is vital to provide existing and future residents of Ocean Waves estate with a route to the nearby public reserve and also the beaches and other recreational areas. Although NSW RFS have not objected to the proposed, it is considered common sense that having alternate routes in and out of a development could be important should any type of natural disaster occur (not exclusively but including Bush Fire) and where evacuation may ne necessary. The site is suitable for the footpath/cycleway development and already provides an existing informal access track utilised by residents to access the nearby recreation areas. It is considered that the site is not suitable for alternate uses and as such the construction of the formal footpath and cycleway should be enforced. The application was notified and 4 (four) independent submissions were received, along with a petition with 137 (one hundred and thirty seven) signatures and also a letter from the Valla Beach Community Association confirming their unanimous objection to the proposal One submission was also received in support of the proposal. The points raised in all for submissions received that object to the proposal are summarised bellow and also are attached at Attachment 2 of this report. The Submission received in support? is at Attachment 3 and the petition, with covering letter, at Attachment 4. ?????? The footpath is the minimal requirements for this location. ?????? If this access is not formalised, the only link from Seaforth to Swordfish Drive is to the north of the subdivision. ?????? It would provide another exit from the estate apart from Swordfish Drive with respect to potential Bushfire Hazards and only having one way out of the estate. ?????? Swordfish Drive is also steep for pedestrians and cyclists. ?????? Was never informed of this requirement during purchase of the land. ?????? The Valla Beach Community Association gave unanimous support for the cycleway to go ahead. ?????? There are numerous references to promotion of cycleway in Nambucca Shire and Mid North Coast Region strategic planning documents including the Mid North Coast Regional Strategy, the Nambucca Shire Structure Plan and Nambucca Shire Council Cycleway Plan. A later submission was also received raising a further objection to the proposal and is at Attachment 5. Although not received in accordance with the Act, is considered to reiterate previous submissions and strengthen the community?s objection to the proposal to remove the footpath. Given the high number of signatures on the petition from residents in the surrounding community, it is not considered granting the proposed modification would be in the local community or public interest. The proposed location of the footpath and cycleway is already an informal bush track adjacent to the Valla Beach Tourist Park boundary, so will not require clearing of vegetation. The linkage will provide a connection to the nearby recreation areas and facilitate enjoyment of our existing beautiful natural environment. There are many social benefits to providing good connectivity though new residential subdivision, including encouragement of physical activity, facilitating safe route for families and older residents to enjoy the nearby recreation areas and socialise interaction within the community as a whole. The provision of attractive and viable connection ways brings economic benefits to a locality by making it more attractive, which is particularly important to an area such as Valla Beach which is a popular tourist and visitor destination. The risk associated with refusing the Modification is that the applicant could utilise their right to appeal to the Land and Environment Court. Refusal of the application could potentially cost the Council money if the applicant appeals the decision and Council need to make representation to uphold the decision. Approval of the Modification could potentially cost the Council money if, in the future, it becomes apparent that a connection is needed at, or near to, this location, at which time there would be no opportunity to require the developer a provide a link in the form of footpath and/or cycle-way, and Council would have to bare the cost to provide one. The amount of submissions and signatures on the petition objecting to the proposal to remove the foot/cycle path requirement is evidence there is already a community demand for such a linkage. The risk associated with not requiring the developer to provide this footpath and cycleway could result in Council having to provide it at a later stage, and this could potentially take funds and/or resources away from other projects and services. The development is to be implemented generally in accordance with the plans and supporting documents, endorsed with Council stamp dated April 2010 and authorised signature, set out in the following table except where modified by any conditions of this consent. The application for a Construction Certificate is to include plans and specifications that indicate the measures to be employed to control erosion and loss of sediment from the site. Control over discharge of stormwater and containment of run-off and pollutants leaving the site/premises must be undertaken through the installation of erosion control devices such as catch drains, energy dissipaters, level spreaders and sediment control devices such as hay bale barriers, filter fences, filter dams, and sedimentation basins. The sediment and erosion control plan is to be designed in accordance with the requirements of the NSW Department of Housing Manual, ?Managing Urban Stormwater, Soils and Construction?. The plans must be in compliance with Council's current Council's Adopted Engineering Standard. Such plans and specifications must be approved as part of the Construction Certificate. A Long Service Levy must be paid to the Long Service Payments Corporation. This amount payable is currently based on 0.35% of the cost of the work. This is a State Government Levy and is subject to change. These payments may be made at Council?s Administration Office. Cheques are to be made payable Council. Three (3) copies of engineering construction plans and specifications must accompany the construction certificate application. Such plans are to provide for the works in the following table in accordance with Council?s current Design and Construction Manuals and Specifications. Kerb and gutter, road shoulder and associated drainage construction, footpath formation and turfing including any necessary relocation of services across the frontage of the subdivision. 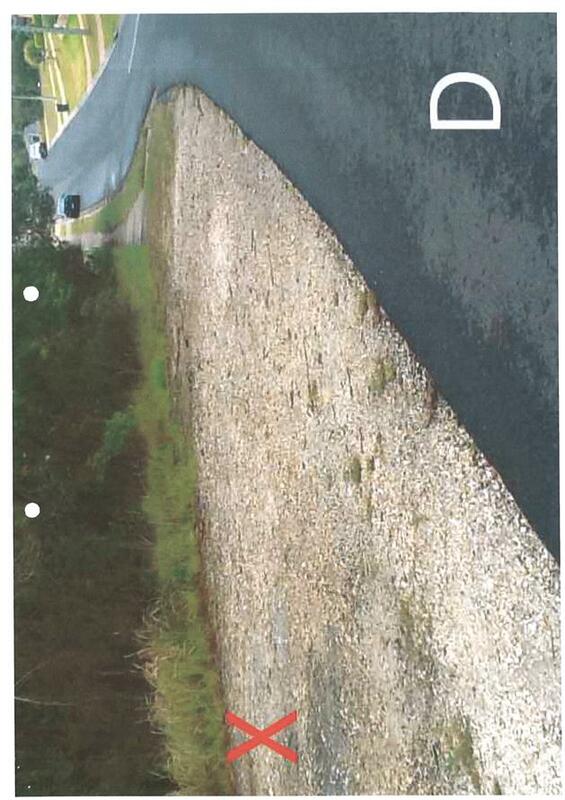 Full width road and drainage construction for all proposed roads on the approved plan. A 2.5 metre wide reinforced concrete pathway linking Seaforth Drive to Ocean View Drive in the south eastern corner of the site, including installation of gates or bollards at each end to restrict vehicle entry. Service conduits to each of the proposed new allotments laid in strict accordance with the service authorities? requirements. Street lighting being provided to the requirements of Country Energy. Stripping and stockpiling of existing topsoil on site, prior to commencement of earthworks, and the subsequent re-spreading of this material together with a sufficient quantity of imported topsoil so as to provide a minimum thickness of 80mm over the allotments and footpaths and public reserves, upon completion of the development works. Inter-allotment drainage to an approved public drainage system for each of the proposed new allotments where it is not possible to provide a gravity connection of future roof water to the kerb and gutter. An energy dissipating pit with a suitably installed locked grated outlet to all pipes or any other drainage structures. Grates must be of galvanised weldlock construction. Stormwater quality must be suitable for discharge in accordance with Department of Land and Water Conservation NSW (1998) The Constructed Wetlands Manual and NSW Department of Housing Manual (1989), Managing Urban Stormwater, Soils and Construction. Reticulated water supply to serve the development including installation of water mains and services to all lots. Sewer mains to serve the development including sewer main extension to the site, mains, sidelines and junctions to all lots. Consent from Council must be obtained for all works within the road reserve pursuant to Section 138 of the Roads Act 1993. Three (3) copies of engineering construction plans must accompany the application for consent for works within the road reserve. Such plans are to be in accordance with Council's Adopted Engineering Standard. An approval under Section 68 of the Local Government Act 1993 to carry out water supply work and sewerage work must be obtained. Sewerage and water mains are to be extended to service all residential allotments in the subdivision. Additionally the enclosed sign, to promote the awareness of the importance of maintenance of sediment and erosion controls, is to be clearly displayed on the most prominent sediment fence or erosion control device for the duration of the project. Toilet facilities are to be provided, at or in the vicinity of the work site at the rate of one toilet for every 20 persons or part of 20 persons employed at the site. Each toilet provided must be a standard flushing toilet connected to a public sewer. c???????????????? stating that unauthorised entry to the work site is prohibited. The developer and/or contractor must produce evidence to the Principal Certifying Authority of public liability insurance cover for a minimum of $10 million. Council is to be nominated as an interested party on the policy. The public liability insurance cover is to be maintained for the duration of the period of the works and during any maintenance period. No works are to take place on that part of the land within Zone No 7(a) Environmental Protection (Wetlands). In particular no trees are to be damaged, removed or stockpiled in the area, and no buildings or structures are to be erected. b??????? Saturday, from 8.00 am to 1.00 pm. All necessary works are to be undertaken to control dust pollution from the site. All builders rubbish is to be contained on the site in a ?Builders Skips? or an enclosure. Building materials are to be delivered directly onto the property. Footpaths, road reserves and public reserves are to be maintained clear of rubbish, building materials and all other items. The burning of trees and associated vegetation felled during clearing operations is not permitted. Where possible, vegetation is to be mulched and reused on the site. All care is to be taken to ensure the safety of the public in general, road users, pedestrians and adjoining property. Council is not held responsible for any negligence caused by the undertaking of the works. Contributions set out in the following table are to be paid to Council. The contributions payable will be adjusted in accordance with relevant plan and the amount payable will be calculated on the basis of the contribution rates that are applicable at the time of payment. Payments will only be accepted by cash or bank cheque. The Certificate of Compliance under Section 306 of the Water Management Act 2000, identifying payment of the contributions, is to be provided to the Principal Certifying Authority. Contributions set out in the following Schedule are to be paid to Council. The following contributions are current at the date of this consent. The contributions payable will be adjusted in accordance with the relevant plan and the amount payable will be calculated on the basis of the contribution rates that are applicable at the time of payment. The contribution rates for specific dates are available from Council offices during office hours. Payments will only be accepted by cash or bank cheque. An application for a Subdivision Certificate must be made on the approved form. The Subdivision Certificate fees, in accordance with Council's adopted schedule of fees and charges, must accompany such application. Seven (7) copies of the plan of subdivision are to be submitted with the application for a subdivision certificate. The location of all buildings and/or other permanent improvements including fences and internal access driveways/roads must be indicated on 1 of the copies. The creation of easements for drainage of water over all drainage pipelines and structures located within the proposed allotments in accordance with Council?s policy. The creation of easements for drainage of sewage over all sewage pipelines and structures located within the proposed allotments in accordance with Council?s policy. Dedication at no cost to Council part of Lot 95 DP 1099538 comprising land connecting Seaforth Drive and Ocean View Drive located in the south eastern corner of the subdivision site. Written evidence from an electricity supply authority is to be submitted with the application for a subdivision certificate stating that satisfactory arrangements have been made for the provision of underground electricity supply throughout the subdivision. Written evidence from Telstra is to be submitted with the application for a subdivision certificate stating that satisfactory arrangements have been made for the provision of underground telephone supply throughout the subdivision. Works-as-executed plans, certified by a suitably qualified engineer or a registered surveyor, are to be submitted with the application for a subdivision certificate. Where the design is carried out utilising computer aided design CAD, all cad computer files are required to be provided on CD (Compact Disc) with the final drawings. The CAD files must include all lot and road boundaries, lot numbers and easements. The data is to be supplied in accordance with the requirements of Council?s GIS Officer. The submission of all test certificates, owners manuals, warranties and operating instructions for civil works, mechanical and/or electrical plant, together with a certificate from a suitably qualified engineer certifying that all works have been constructed in accordance with the approved plans and Council?s Adopted Engineering Standard. A certificate from a registered surveyor is to be submitted to Council certifying that all pipelines, structures, access driveways and/or services are located wholly within the relevant easements. A maintenance bond of 10% of the value of the works constructed is to be lodged with Council. A copy of the contract construction cost of the subdivision works is to be submitted with the bond. The maintenance period is 12 months and will commence from the date of issue of the final Compliance Certificate. The security may be provided, at the applicant's choice, by way of cash bond or a satisfactory bank guarantee. An application in writing for the release of the bond must be made at the satisfactory completion of the maintenance period. A record of infrastructure coming into Council ownership, upon registration of the final plan of subdivision, is to be submitted to Council. a????? At the issue of the subdivision certificate and in perpetuity proposed Lots 151 ? 163 inclusive shall be managed as an inner protection area as outlined within section 4.1.3 and Appendix 5 of ?Planning for Bushfire Protection 2006? and the NSW Rural Fire Service?s document ?Standards for Asset Protection Zones?. b????? The residue lot to the west of proposed Lot 151 ? 163 inclusive, to a distance of 52 metres shall be managed as an inner protection area as outlined within section 4.1.3 and Appendix 5 of ?Planning for Bushfire Protection 2006? and the NSW Rural Fire Service?s document ?Standards for Asset Protection Zones?. c????? Water, electricity and gas are to comply with section 4.1.3 of? ?Planning for Bushfire Protection 2006?. d????? Access for fire fighting vehicles should be supplied to the rear of proposed lots 151 to 163 until such time as the remainder of the stage is developed. Separate development consent will be required to modify the natural contour levels through cutting, filling or benching of individual or multiple allotment sites, unless the works are exempt under Council?s Development Control Plan No.10 or State Environmental Planning Policy (Exempt and complying Development Codes) 2008. ??????????????????????????????????? In regards to Section 96 application to modify development consent: 2010/4 by VPR Developments Pty Ltd lot: 95 DP: 1099538, Seaforth Drive Valla Beach. Firstly I would like to make this written representation objecting to this proposal on the following grounds contained in this submission. ?I would like to start off by thanking VPR developments, for its commitment towards providing infrastructure around its developments. This is something that everywhere you go is a requirement of developers and councils to help contribute towards a healthy community atmosphere and environment. This is not only a great benefit for the developer and council by encouraging people to move to the area, which would have a sustainable affect on the community as a whole. 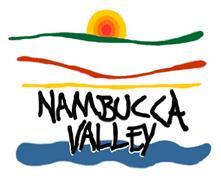 I would hope this would be a commitment the Nambucca Shire Council and VPR Developments would not take lightly. So when I received this amendment I was quite shocked that a simple pathway/ bikeway that can help keep Valla beach residents connected was under threat. As a small diverse community having access restricted between the different groups and limit general diversity among the community would be a detriment to the local community at large. In the developers reasons for this amendment the justification he makes like ?cycleway was never any part any DA ?, well in my option maybe it should be? The bikeway/ pathway to my understanding was part of DA 2003/901 and was to be constructed prior to release of the 13 lots, which is not an unreasonable request for the Developer to commit towards the betterment of the environment around his developments. In regards to his comment ?of the considerable distance away from stage 5 ? I?m not sure what relevance this has got to do with anything, considering there is still more land to be developed in future. Also with regards to the comment about ? hazardous exit and entry points? at either end, especially at Ocean View Dr. I fail to see how this is the case especially if done properly and for someone to be doing any great speed uphill at this point I don?t think so. At Seaforth Dr end the path has a considerable distance where it levels out off the road to slow down. In regards to this is the?only? cycleway at Valla beach, maybe there should be more which people could take advantage of. I see this amendment as an attack on the health and well being, of the residence of the Valla Beach. To be able to move around their community in a happy healthy way, with a communal spirit to mix and have easy access around the area, one would think this to be advantageous for all. I would be very disappointed with the Council and VPR developments if at least a pathway was not carried out at this location and at this point of time not clearly committed to doing. It has been brought to my attention that an application to modify development consent: 2010/4 has lodged with Nambucca Shire Council. Unfortunately I, along with many other residents, did not receive notification of this proposed modification. However, I am putting forward this submission for the consideration of Council. The original DP was for thirteen lots and this has been altered to fifteen lots. The developer, Geoff Douglas, indicated to me that government wanted smaller blocks. It is my opinion that the proposed changes will be detrimental to the character of the subdivision and would also make it difficult to build a suitable dwelling that will comply with Council Regulations. Lot 162, 6 Swordfish Drive, area of 646 square metres Lot 163, 4 Swordfish Drive, area of 602 square metres Lot 164, 2 Swordfish Drive, area of 612 square metres My block is directly across the road from these lots and it is 1030 square metres. When I built my house I had to comply with building alignments of 6 metres to Swordfish Drive boundary and 10 metres to Seaforth Drive boundary. Assuming these same conditions apply, it would be difficult to design houses similar to those in the subdivision for lots 162, 163 and 164. 164 as the boundary pegs have changed and the size on the For Sale signs for Lot 164 currently indicates it is 972 square metres in size. Signage on lots 161, 162 and 163 has been removed. Access to Ocean View Drive from the southern end of Seaforth Drive is essential to residents who use the current rough track across private and Council property. Local residents use this track on a regular basis to walk to Deep Creek, Valla Reserve and the beach. It is my opinion that the construction of a suitable pedestrian/cycle access way should be carried out to give safe and formal linkage between the two streets. The only formal access to Seaforth Drive is from Swordfish Drive to the north of the subdivision. We refer to your correspondence dated 30 January 2013 advising that there has been application to modify DA 2010/4 and remove a planned cycleway from Seaforth Drive to Ocean View Drive and would like to make an objection to the proposed amendment and support the retention of a cycleway or pathway at the location shown as ?B? on the attachment to your letter. We understand from our telephone enquiry to council that if the cycleway does not go ahead the land will be part of private land and there will be no thoroughfare between Seaforth Drive and Ocean View Drive. We strongly disagree with points raised by the developer in an attempt to support their position of not providing a cycleway. ???? A right of way that allows residents to walk or cycle around the neighbourhood and promotes a healthier lifestyle as opposed to an environment that would force more people to drive motor vehicles for travelling a short distance. ???? There are many residents who would be unable to walk up the steep gradient of Swordfish Drive but find the gradient of the bush track quite acceptable. ???? Young children living in Seaforth Drive are able to easily walk to the beach and estuary to enjoy the lifestyle that their parents wanted for them when they decided to make their home in Ocean Waves estate. ???? It provides another exit from the estate apart from Swordfish Drive. Many residents raised their concern about bush fire hazard if Swordfish Drive is the only way out of the estate. In response to the developers opinion that the cycleway would be steep and hazardous we would strongly disagree. There is very little traffic around Seaforth Drive but this would increase if there is no cycleway. Cyclist coming onto Seaforth Drive would be able to clearly see any traffic which would be expected to be going very slowly due to the residential nature of the street and the bend in the road. The entry/exit at Ocean View Drive would similarly expect to meet only slow moving traffic that has either emerged from or slowing to enter the lower speed limit at the tourist park or traffic coming aorund the bend in Ocean View Drive. They are low volume, low speed roads that would not be considered as hazardous for entry/exit. Safety measures can be implemented at the entry and exit as they have been at other pathways if deemed necessary. In response to the developers point about the cyclway not linking to any other cycleways and therefore being of no use we would again disagree. This is a very short term view and does not appreciate how the infrastructure at Valla Beach might change over time to incorporate more cycleways. As a nation facing escalating problems of obesity and inactivity we need to ensure that communities are designed and built to encourage healthy and active lifestyles. There are many tracks and pathways linking streets in the older part of Valla Beach and we feel that these are clearly beneficial to the local residents and visitors. Keeping the cycleway between Oceanview and Seaforth Drives will similarly be of great benefit. We have a petition signed by more than 100 people who oppose the removal of the cycelway and we will submit this to Council after a meeting of the Valla Beach Community Association this evening in which the matter will also be raised. We sincerely hope that Council will reject the proposed amendment and require the cycleway to go ahead for all the reasons stated above. Would you kindly keep us informed of the progress of this matter as we believe it is of key importance to us, our neighbours and our visitors. In reply to your letter 30 January 2013, Application to modify Development Consent issued by Council on May 2010 for a Thirteen (13) Lot Residential Subdivision. The applicant seeks to modify the development by removing the proposed Cycleway.? In opposition to this proposal we state that the Cycleway is not near the proposed LOT: 95 DP: 1099538, and is totally essential for Safety, Life Style and Part of Sale to us by the Estate Agent acting for the Developer VPR Developments Pty Ltd.? The residents all agree that the Walkway/Cycleway access to Ocean View Drive remain and be completed so residents can access the beach, creek, park and resort with ease from the southern end of Seaforth Drive. Therefore it is essential that the Walkway/Cycleway should remain at the southern end of Seaforth Drive at the Valla Beach Tourist Park Fence.? 1.???????? Ocean Waves Estate is ringed by Nature Reserved and has only one entrance/exit down Swordfish Drive.? If there is a fire, at the reserve bordered by Valla Beach Road,? Ocean View Drive and? Swordfish Drive there is no way for residence of this area to escape. If the fire came from the other direction (southern end) it has a lot of residents to use the only exit Swordfish Drive to escape any fire. The developer has now placed more blocks on the market which will place even more burden on the only road (Swordfish Drive) in and out of this area for the above reason. 2.???????? The proposed Walkway/Cycleway is very necessary and is not as steep as Swordfish Drive.? I/we walk up Swordfish Drive or Heart Break Hill as we locals call it, I am getting older and will not be able to do this for ever, We purchases our land for the Life Style and being able to walk not drive to the beach.? I have seen people trying to push prams and ride bicycles up Swordfish Drive.? Valla Beach residents use the existing goat track or walk through No 55 Seaforth Drive through No 102 Ocean View Drive (until houses are built on one of the blocks) to access Ocean View Drive so they can walk around the estate or go to Valla Beach, The Park,? Valla Beach Tourist Park for Zumba classes and the Gym. 3.???????? The Developer sold the Estate stating a Walkway/Cycleway at the southern end of Seaforth Drive so we would have access to Ocean View Drive and walk to the Beach or the Valla Tourist Park.? As owner occupier of 15 Seaforth Drive I use either the existing goat track or work through No55 Seaforth Drive through No 102 Ocean View Drive until they are built on, then how do I go for walks the beach and park. In order to alleviate these problems we believe it is absolutely imperative for the Walkway/Cycleway to remain and finally be completed so residents and visitors have better access to the facilities that Valla Beach offers. If you have any other questions in relation to this matter please do not hesitate to contact me on the above numbers. held at the Valla Beach Community Hall on Monday 18th February 2013. The above was raised as a motion, seconded and approved unanimously by the community present. That the VBCA will support the petition. The motion etc will be recorded in the minutes of the meeting,copies of VBCA General Meetings are sent to the Nambucca Shire Council, and posted on our website. We have also received correspondence from the NSC GM who attended the meeting and also from the NSC Senior Town Planner, who I believe has also been contact with you. If you need any other information from the VBCA please let me know. I refer to the above mentioned Section 96 application lodged with Council on 16 January 2013 and advise adjoining owners have been notified of the proposal and in response council has received 5 submissions along with representation made from the Valla Beach Community Association and a petition containing 147 signatures from the local community. Council?s town planning and engineering staff do not support the Modification to delete the requirement for the foot/cycle path. As such, the matter will be reported to Council for consideration and determination. If you wish to make any further representations at this time then please don?t hesitate to do so. If you wish to withdraw the application, then you can do so by formally requesting this is done in writing and in which case 50% of the application fees, minus any notification charges, will be refunded to you. If you wish to proceed in this way, then please do so within 14 days of the date of this letter. Alternatively someone will be in touch when a date in confirmed for your application to be discussed and determined at a Council Meeting. You will then have the chance to address the elected members at this meeting, should you wish to do so. Please note, if the application is refused, there is no opportunity to have any fees refunded. Should you require any further information, please contact Council?s Applications and Compliance Services Unit or myself directly on 6568 0225. In 2012 development application 2012/010 was submitted to Council and assessed by Council staff. Subsequently a conditional consent was issued to grant the strata subdivision of an existing commercial property within Macksville CBD. The development application related to strata subdivision only and no associated building works were proposed. The application relates to an existing building known as 10 Princess Street and was to strata subdivide the 5 (five) existing commercial properties within the one existing building which comprised of 3 (three) separate allotments, with their own titles, but in the same ownership and on them was the building to be strata subdivided and a large car parking area to be dedicated as common property within the strata subdivision. A modification application has now been submitted, under Section 96 of the Environmental Planning and Assessment Act, which seeks to remove one of the three allotments from the development (lot 14); the one which currently provides the majority of the car parking area for the site. This results in a significant shortfall of on-site car parking as, in accordance with the requirements of Part C of the Nambucca Development Control Plan (NDCP), a total of 29 car park spaces are required and only 21 will be provided without lot 14. Although this modification results in a shortfall for on-site parking it is still considered to be substantially the same development. Given that a large number of on-site parking is being provided, it is considered acceptable on this occasion to apply Section 94 contributions in lieu of the shortfall. 1??????? That Council consent to the Modification DA2012/010/01 for the excising of Lot 14 from the development, subject to the recommended modified conditions attached to this report. 2??????? That Council consent to the request to vary car parking requirements within Part C of the Nambucca Development Control Plan 2010 subject to the payment of Section 94 Contributions in lieu of short fall of on-site car park spaces being 8 spaces at $8,821 per space as per the table below. Option 2 is that Council may refuse the application to modify consent DA2012/010 on the basis that there will be an unacceptable short fall of car parking, which does not meet the requirements of Nambucca Development Control Plan 2010. If this option is proceeded with, Council may also wish to modify the original Consent to include a condition requiring the consolidation of the three allotments. Option 3 is that Council consent to the Modification, subject to alternate conditions. In 2012 a development application for strata subdivision was submitted to and approved by Council. The application related to an existing development of 5 commercial properties within one building, on the corner of Princess and Mackay Street. The application site consists of 3 allotments ? Lots 1, 2 and 14 DP 2037. Lots 1 and 2 house the 5 commercial properties, with Lot 14 providing informal car parking to serve employees and customers to the rear of the commercial properties. The applicant has now submitted a modification to remove Lot 14 from the development consent, which will remove some of the on site car parking.? 21 spaces will still remain to be provided on site, equivalent to 4 spaces for 4 of the units and 5 for the other larger one. It is considered this should be adequate car parking for employees of the commercial units so it is the visitor parking which will be sacrificed through the modification. As this is a CBD location alternate public car parking is available for customers. 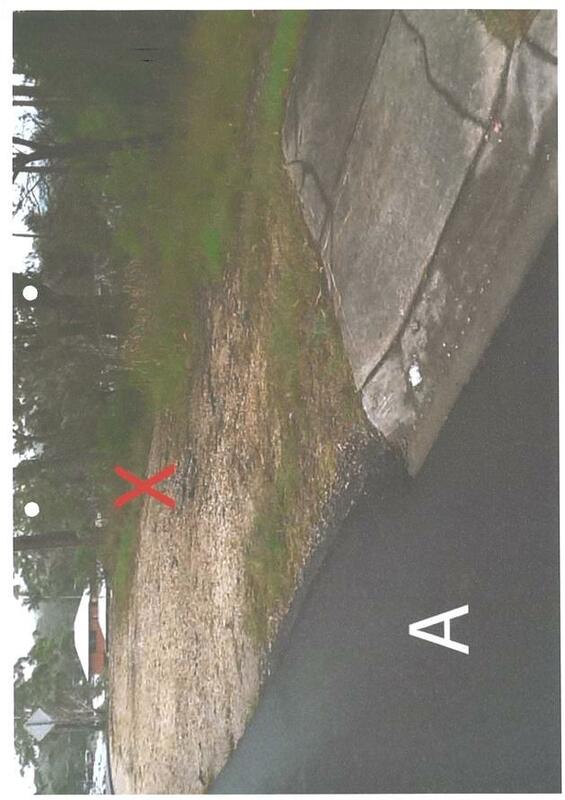 Figure 1: site plan to show the 3 lots which collectively formed the original application site and identifying Lot 14 which is now proposed to be removed. Figure 2 shows the commercial building to be strata subdivided (the pink building) and Lot 14 to be removed through the modification. You can see in Figure two is provides informal (not sealed or marked) car parking at present and the adjoining Lots 12 and 13 Section 2 DP 2037. Lots 12, 13 and 14 are also currently being utilised as informal car parking (grass). If the modification is approved, then the allotment to be excised (Lot 14) could potentially be sold off and/or redeveloped independently of the other two. This not only impacts on car parking and the amount of common property available for the original development, but it could also be argued that there could be more merit in leaving the allotments together as one holding as it may facilitate future development opportunities. However, it is considered that excising this one allotment away from the existing development has the same potential for future development, but instead for the development of Lot independently. MTS advises that although the plan submitted identifies 21 car park spaces will be available on site, he has measured the adequacy of them and they do not meet minimum standards. As such, MTS advises it is likely more spaces will be lost, unless a boundary adjustment is undertaken. The application was not notified as there is no requirement to notify applications for Strata Subdivision only. The site relates to an established commercial building within Macksville CBD. The proposal includes adequate access and some car parking to serve the employees of each commercial unit, however, visitor parking is limited and does not meet the requirements as set out in the NDCP 2010. The proposal gives the building owner greater flexibility with regards to leasing out and/or selling these units individually rather than as one whole building, which could facilitate future uses of each unit and as such will have a good economic impact on units with this building and Macksville CBD as a whole. The site was considered appropriate as submitted for the original development application, where the site comprised of 3 allotments collectively. There is some cause for concern with regards to removing one of these allotments, firstly due to the insufficient car parking which can be provided to serve the development without the third allotment. 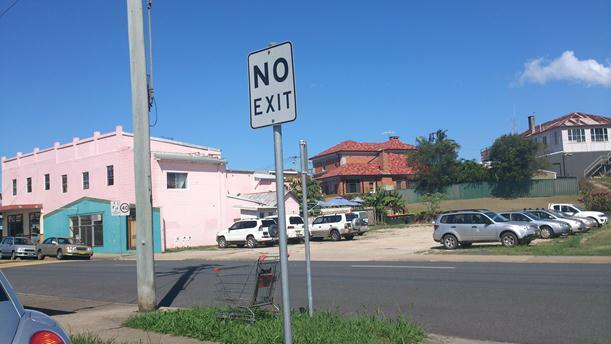 Subject to the appropriate measures being employed to monitor and address any future potential car parking issues in Macksville CBD, no harm will come to the environment. Any development which could facilitate new businesses into the town of Macksville and Shire as a whole bring subsequent social benefits, however, it is also important to avoid potential social conflicts between business owners/occupiers and other community members by virtue of a shortfall of CBD parking. The original development application for strata subdivision was applied for to allow greater flexibility to lease out and/or sell the five separate commercial units which could facilitate keeping them occupied in the long term. The collection of contributions is considered adequate to address any risk associated with consenting to a reduction of on site parking. The section 94 plan is in place to ensure funds are collected from developments within the CBD to provide for future needs of additional car parking. 1??????? The development is to be implemented generally in accordance with the plans and supporting documents endorsed with the Council stamp, dated 14 March 2012 and authorised signature, and set out in the following table except where modified by any conditions of this consent. 2??????? An application for a Subdivision Certificate must be made on the approved form. The Subdivision Certificate fees, in accordance with Council's adopted schedule of fees and charges, must accompany such application. Seven (7) copies of the plan of subdivision are to be submitted with the application for a subdivision certificate. The location of all buildings and/or other permanent improvements including fences and internal access driveways/roads must be indicated on 1 of the copies. 4??????? Separate sewer and water connections must be provided for each strata Lot. A Section 68 application will be required and the applicable fees will need to be paid, including any applicable Section 64 contributions for any changes to Equivalent Tenements (ETs). j line marking and signs. The plans must be in compliance with Council's Adopted Engineering Standard. Such plans and specifications must be approved as part of the Construction Certificate and by Council?s engineering staff. During the assessment of the development application, it appeared some spaces would not conform to the Standard and a revised car parking plan, to show car park spaces and aisle widths comply with AS 2890 .1:2004 Part 1 Off Street Car Parking and 2890.6:2009 Part 6 Off Street parking for people with disabilities. This may require a boundary adjustment with Lot 14 to accommodate all 21 spaces, if necessary. 6?????? Contributions set out in the following Schedule are to be paid to Council. The following contributions are current at the date of this consent. The contributions payable will be adjusted in accordance with the relevant plan and the amount payable will be calculated on the basis of the contribution rates that are applicable at the time of payment. Evidence of payment of the contributions is to be provided to the Principle Certifying Authority prior to the issue of the Construction Certificate. AUTHOR/ENQUIRIES:??? Monika Schuhmacher, Executive Assistant ???????? Note:?? Meetings at the Rural Halls will commence with tea and sandwiches at 5.00 pm. AUTHOR/ENQUIRIES:??? Lorraine Hemsworth, Business Service Coordinator ???????? The figures show a -11.43% decrease in the number of DA?s received to end February 2013 with construction costs increasing by 34.76% compared to the same period in 2012. The total number of DA?s/CD?s approved for the month of February 2013 was 18 plus 2 modifications. Please note that due to the Christmas closure the times were longer to approve. AUTHOR/ENQUIRIES:??? Tracey Ross, Senior Librarian ???????? At its meeting of 31 January 2013 the Council made a formal resolution to take action regarding library funding as it is extremely concerned about the financial sustainability of the current NSW State Government funding arrangements. On 18 February 2013 Council wrote to the Hon Andrew Stoner MP requesting that representation be made to the Minister for the Arts, the Hon George Souris MP on this matter. We received a copy of the response from the Minister for the Arts on 20 March 2013. That the Council note this report and agree that due representation has been made to the Minister for the Arts at this time in relation to public library funding given that the 2013/14 State Budget deliberations occur in the near future. 1.?????? That Council note the progress report and adopt the recommendations stated above. 2.??????? That Council note the progress report and adopt different recommendations to those stated in this report. 3.??????? That Council consider further representations once the 2013/14 State Budget announcements are made. The Minister for the Arts has referred in his letter to the Revitalising Regional Libraries program which will provide $2 million over four years from 2011/12, distributed in $16,000 grants to local councils. The Nambucca Shire Council received its $16,000 in 2012/13 as part of this program, this will be used to refurbish the Nambucca Heads Library. The Minister further states that the Library Council of NSW recommendations concerning the funding of public libraries will be considered as part of the 2013/14 State Budget deliberations. The Manager Community and Cultural Services has been consulted in the preparation of this report. There is no proposed change to the current budget for the Nambucca Shire Council Libraries. As per the above, there is no proposed change to the current budget for the Nambucca Shire Council Libraries. AUTHOR/ENQUIRIES:??? Paul Gallagher, Assistant General Manager - Engineering Services ???????? Mr Lachlann Ison (NSWRFS Zone Manager - Lower North Coast) and Superintendent Tony Lenthall (FRNSW) have been invited to address Council on the Mutual Aid Agreement and boundary variations and answer any questions Council may have. That Council endorse the variations to the boundary areas of the Fire and Rescue NSW (FRNSW) and the NSW Rural Fire Service (NSWRFS) as indicated on the maps (TRIM SF81: 7283/2013) for the provision of fire services within the Nambucca Local Government Area. There are no other options other than to concur with the proposed variations to the boundary areas. In line with the requirements of the fire services delivery provisions between Fire and Rescue NSW (FRNSW) and the NSW Rural Fire Service (NSWRFS) a review of the current boundary and mutual aid agreement has been undertaken between the two agencies and variations to the service boundaries are recommended from the local agencies as per the circularised maps. The object of the mutual aid agreement is to ensure that the community is provided with the best possible response to incidents. Council are required to provide endorsement only for the proposed boundary variations as the final determination will be approved at state level by the Minister? There are social implications associated with the loss of infrastructure and displacement of residents in the event that the ability of fire services are hindered through political involvement with the Mutual Aid Agreement or demarcation on who attends the incident. There are economic implications associated with the ability of Council to fund emergency service levy contributions with any potential increases being offset against the reduction of Council services to Nambucca Valley communities. There are economic implications associated with the loss of infrastructure and displacement of residents in the event that the ability of fire services are hindered through political involvement with the Mutual Aid Agreement or demarcation on who attends the incident. The object of the mutual aid agreement is to ensure that the community is provided with the best possible response to incidents. The State Government determine the emergency service levy based on the operational budgets of the individual emergency services and there is a potential risk that the State Government may raise the emergency service levy which increases Council?s contribution. The current and future budgets have a provision towards the emergency services levy contribution. The boundary changes to the services are cost neutral to Council. 5??????? receive a report from the Assistant General Manager Engineering Services concerning rehabilitation and revegetation of the site and the cost involved.? This report provides an update on the investigations and action taken to date. That Council receive and note the report and continue to monitor the site and undertake ongoing weed control to allow regeneration of desirable native species within the site. ??????????? Continue to monitor the site and undertake ongoing weed control to allow regeneration of desirable native species within the site. ??????????? Undertake a planting program of advance native trees.? This would incur a cost for the purchase of plants and trees and labour costs if planted without the assistance of volunteers. This report provides an update on the investigations and action taken to date. Unfortunately at this stage there is no conclusive evidence that would identify a culprit. c??????? reported the matter to the Office of Environment and Heritage (C06626-2012). e??????? sent letters through the auspice of the Office of Environment and Heritage to adjoining landowners seeking information that may lead to a conviction. g??????? erected signage across the site. Council did not consider the use of bunting/shade cloth/shipping containers to block the views appropriate and no other measures were implemented. ??????????? from residents residing in the area advising that they were not responsible nor aware of the vandalism and could not provide any information as to the perpetrators. ??????????? the Nambucca Chamber of Commerce and Industry condoning the act of vandalsim with the desecratation of an area of natural beauty and would like to see the offenders before the Courts.and recommending a plan of management. ??????????? the media coverage did not result in anybody coming forward with information. Council were made aware in the November 2012 report that there was extensive damage to in excess of 50 mature trees at the site with the trees being partially cut through and left standing making them a risk particularly in high wind. The vast majority of the vandalised trees were Brushbox (Lophostemon confertus) ? that are associated with Littoral Rainforest a recognised Ecological Endangered Community (suballiance 18) under the NSW Threatened Species Conservation Act 1995 (a closed forest, which contains predominantly rainforest species generally <2kms to the ocean and has a closed canopy that has 70% of the sky obscured by tree leaves and limbs). Although the land is generally steep and undeveloped, the site has the potential attraction for children playing in the natural area (building cubbies) or pedestrian access, the risk analysis identified that the trees were dangerous and there was a distinct possibility of the trees falling without warning. Whilst the Council?s Weeds Officer and Tree Contractor considered that some of the trees may recover with new growth and total removal may not be required. The trees that were assessed as dangerous by Langham?s Tree Services arborists were cut down to ensure the safety of any persons who may enter the tree vandalism site. Langham?s Tree Service team spent a day on the site (at a cost of approximately $3,300) felling the trees and did not remove any of the vegetation that was cut down, as it would have been far too expensive and also would have caused more damage within the site, or heighten the risk of landslip within the site. Given the long term vandalism that has been performed at the site, the removal of mature tree species and the proximity to residents, it is recommended that the site is better left to naturally regenerate if allowed to without further vandalism,. The establishment of seedlings or more advanced plants could be expensive and given the damage to mature trees the party/parties responsible for the vandalism would most probably have no hesitation in removing or killing any plantings undertaken in the immediate area, or alternatively allow the new planting to grow and then vandalise once they become mature. The threat of invasive plant colonisation or fire now poses the greatest threat to the site. It therefore proposed to monitor the site and undertake ongoing weed control to allow regeneration of desirable native species within the site. There has been a significant impact to a natural bush area due to the large number of trees vandalised. The loss of the trees has opened up the scenic views for adjoining properties. There are economic benefits to residential housing with views of the coast line. Trees have been partially cut through but left standing making them a risk particularly in high wind. There is a possibility of the trees falling without warning although the land is generally steep undeveloped Crown Land with minimal pedestrian access being available. The cost of felling the trees was $3,300 funded from the tree maintenance vote. Any further funds would need to be sourced from either the working funds or the environmental levy. There was an impact on staff resources to investigate the matter.? Further resources may be required if Council decide to replant the impacted area. ITEM 11.3??? SF95??????????????? 100413???????? Assessing the impact of off street parking and access when resubdividing land? AUTHOR/ENQUIRIES:??? Keith Williams, Manager Technical Services ???????? ?That there be a brief report to Council on how the ability to resubdivide lots without addressing the potential for street parking and egress issues can be avoided in the future.? Council may wish request additional information. Due to a recent complaint to Council regarding on street parking preventing emergency vehicle access in a section of Sandpiper Drive (being a shareway between two cul-de-sac heads), Council requested a brief report on the ability to resubdivide lots without addressing the potential for street parking and egress issues can be avoided in the future. ??????????? When a residential subdivision is being assessed by staff at the Development Application stage the potential for further subdivision of blocks will now be considered particularly where lots of more than 600m2 are proposed. This will ensure that the carriageway width is conditioned accordingly for the development allowing for the consideration of the potential resubdivision of a residential land parcel (battle-axe blocks). ??????????? An application for a resubdivision of residential land will follow the existing Council assessment process where the planners check the Development Control Plan (DCP) and refer the application to engineering to assess and ensure car parking and access requirements are met and adhere to the appropriate standards. There may be complaints emanating from developers that staff are being too severe in their assessment if there subdivision application is refused because staff believe there may be access or parking issues. There are economic implications associated with the potential cost of adhering to subdivision conditions. There is no direct or indirect impact on current or future budgets associated with this report. There are staff resource implications associated with staff time required to carry assessments for access and parking issues, due to the tight limitations of the organisation structure it is not always possible to carry out an on site inspection to evaluate the site constraints. The minutes of the Nambucca Shire Traffic Committee meeting held on 2 April 2013 are attached for Council?s information and adoption. 1????????? Receive and note the minutes of the Nambucca Shire Traffic Committee held on the 2 April 2013. c??????? The Returned and Services League of Australia (Nambucca Heads Branch) ? between 0830 and 0930 hours. ?????????? Police approval for the road closure. e??????? Advertise the road closures seven (7) days prior to Anzac Day March. ??????????? Macksville Primary School located in West Street Macksville (near Angus Lane and adjacent driveways). 4??????? Support the installation of ?No Parking? restrictions for a single parking bay adjacent to the fire hydrant outside 8 Short Street Nambucca Heads. 5 ?????? Install pedestrian signs at a distance of 100m either side of the main entry to Uniting Care Pacifica Health Care Facility, Short Street, Nambucca Heads. 6??????? Write to the Roads and Maritime Service requesting they consider the feasibility of a High Pedestrian 40 Area for Short Street between Kent and Lee Streets, Nambucca Heads. 7??????? 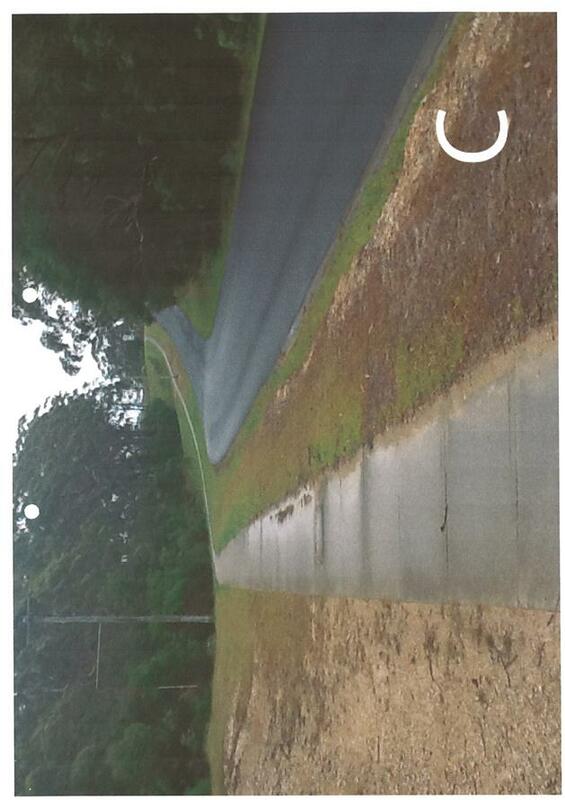 Install a Give Way sign together with line marking at the junction of Fletcher and Rosedale Streets, Nambucca Heads. 8??????? 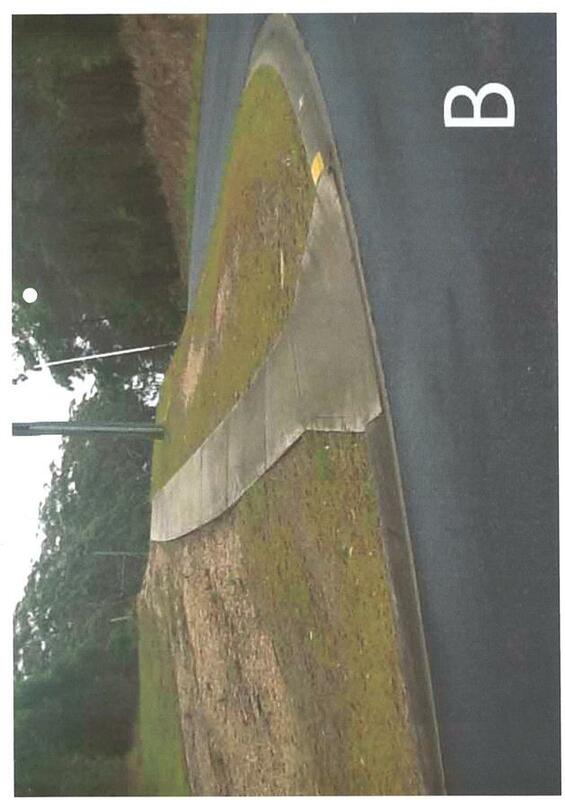 Trim or replant vegetation on Nelson Street, Nambucca Heads adjacent to the intersection with Creek Street with a low growing species to improve the sight distance for Creek Street vehicles required to Give Way to Nelson Street traffic. 9??????? Advise Ganly?s Gardeners of current restrictions pertaining to sight distance issues at the Nelson and Creek Street intersection. Seek clarification or refer matters back to the Traffic Committee. 1??????? The Nambucca Shire Traffic Committee meets every two months, generally on the first Tuesday of that month. 2??????? The members of the Committee met on 2 April 2013 and determined a number of matters as per attached minutes. There are no environmental issues involved in the approval process. There are no social issues involved in the approval process. There are no economic issues involved in the approval process. Decisions are based on guidelines and regulations. The budget contains provision for actions associated with the recommendations of the Committee. No variance to works funds required. No change to service level, resourcing or staff implications. That the Committee note the adoption of the Minutes of the Meeting held on the 4 December 2012. ??????????? Police approval for the road closure. c?? The Returned and Services League of Australia (Nambucca Heads Branch) ? between 0830 and 0930 hours. 3??????? That Council advertise the road closures seven (7) days prior to Anzac Day March. That the Local Traffic Committee recommend that Council support the installation of ?No Parking? restrictions for a single parking bay adjacent to the fire hydrant outside 8 Short Street Nambucca Heads. That the Local Traffic Committee recommend that Council install pedestrian signs at a distance of 100m either side of the main entry to Uniting Care Pacifica Health Care Facility, Short Street, Nambucca Heads. That the Local Traffic Committee recommend that Council request Roads and Maritime Service consider the feasibility of a High Pedestrian 40 Area for Short Street between Kent and Lee Streets, Nambucca Heads. That the Local Traffic Committee recommend that Council install a Give Way sign together with line marking at the junction of Fletcher and Rosedale Streets, Nambucca Heads. That the Local Traffic Committee recommend that Council replant vegetation on Nelson Street, Nambucca Heads adjacent to the intersection with Creek Street with a low growing species to improve the sight distance for Creek Street vehicles required to Give Way to Nelson Street traffic. The next meeting will be held on 4 June 2013 commencing at 10.30 am. There being no further business the Chairperson then closed the meeting the time being 12.30 pm.